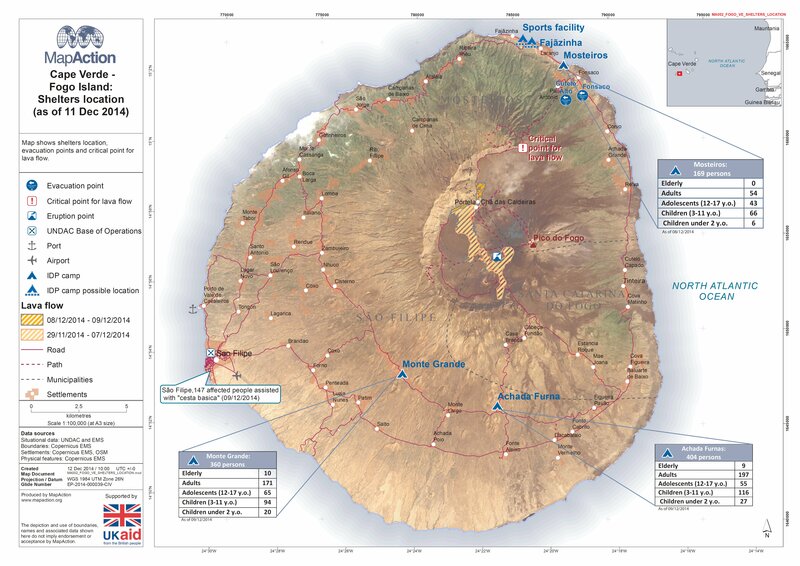 Map shows the shelter locations, evacuation points and critical points for lava flow. 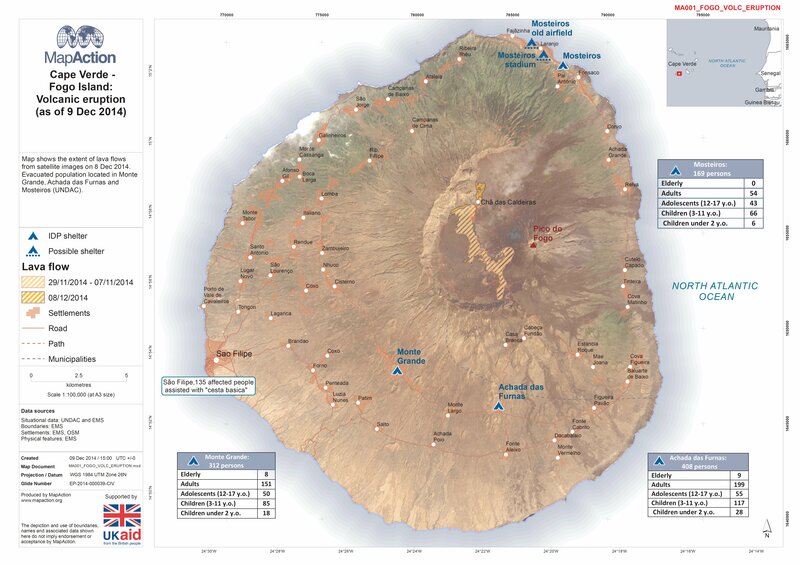 Map shows the extent of lava flows from satellite images on 8 Dec 2014. Evacuated population located in Monte Grande, Achada das Fumas and Mosteiros (UNDAC).